Have you ever felt as if you were in some kind of interrogation when you interacted with certain persons? That you in one way or the other felt that you were suspected for some kind of wrongdoing? Well, then you probably have been caught in a Questioning Trap. A Questioning Trap is a thought distortion. Thought distortions are “techniques”, that, unconsciuos or conscious, are used from an interest in finding ways of getting on in the world, rather than an interest in finding ways of discovering the truth. Thought distortions are the background for poor reasoning, diversionary ploys, seductive reasoning errors, techniques of persuasion and avoidance, psychological factors, which can be obstacles to clear thought. A person may completely unconsciously have discovered that setting up questioning traps is a good weapon in communication, and a way of getting power over other people. It can directly have developed into a trait in the person´s behaviour: that constantly to questioning other people, to ask questions to almost any statement other people makes. Setting up questioning traps is an unethical way of communicating with other people, since it puts the burden of answering on the target´s shoulders, especially when the Questioning Trap is permeated with thought distortions. Setting up a Questioning Trap might seem very profound in the questioner´s own mind, but it is incredible easy, and certainly unhelpful. What´s difficult is to give answers. And people using Questioning Traps don´t want to give answers. They want their targets to feel uncomfortable. They want to feel their own power. A Questioning Trap is always based on the questioner´s own values, preferences and biases, and, disagreement with the target. But the questioner doesn´t want to go into a rational discussion. A Questioning Trap can therefore easily turn into the 'Spanish Inquisition', and unless the questioner has got the other person tied to the chair (he is for example a professional psychotherapist or coach) the other person can easily get up and leave, at least psychologically. The other person might also fight back. Both things are of course completely inappropriately. A Questioning Trap is therefore corrupt. Corruption is a form of dishonest or unethical conduct by a person to acquire personal benefit. Persons who use questioning traps often see their own questioning as a “neutral, interested, or empathetic” way of finding answers, and are, when the target fights back, often answering with statements like, “Well, I was just asking a question. I was just interested in you. And now you´re reacting like that.” This of course makes it even more annoying, since the last thing it is, is neutral. This could be the case with ordinary questions, but not when it is a matter of a Questioning Trap. And you are not the slightest in doubt when it is a matter of a Questioning Trap because you feel uncomfortable or even annoyed. An ordinary interested question would probably only be flattering. In the following I will present five characteristics of Questioning Traps and a conclusion about how philosophy asks questions. The last mentioned has become a whole ideology, because of the power psychology has attained in our society, especially in the New Age and Self-help industry, where people can get themselves a weekend-education as psychotherapists and coaches. The paradox is that while the self-help industry (and its pedagogical methods: psychotherapy and coaching) is claiming to create the authentic, autonomous, resource-filled and competent human being, at the same time is doing the exact opposite: it is making people dependent of therapists, coaches, others ideas and ideals; making them modeling and imitating so-called successful people, etc., etc. The one face of this paradoxical Janus head is the empowerment culture, the other face is the victimization culture (and the connected recovery movement) – see my article The Self-help Industry and The Mythology of Authenticity. Both psychotherapists and coaches are trained in putting up questioning traps. The self-help industry is questioning traps put in system. A frequently result of Hermeneutics of Suspicion is Guilt by Association. The Questioning Trap assumes that the suspected has done some wrongdoing, and this is entirely based on the questioner´s own opinion of what is wrong. The desired result is often guilt by association. An association fallacy is an informal inductive fallacy of the hasty-generalization or red-herring type and which asserts, by irrelevant association and often by appeal to emotion, that qualities of one thing are inherently qualities of another. 1) John is a con artist. John has black hair. Therefore, all people with black hair are con artists. 2) Lyle is a crooked salesman. Lyle proposes monorail. Therefore, monorail is folly. 3) Jane is good at mathematics. Jane is dyslexic. Therefore, all dyslexic people are good at mathematics. 4) Simon, Karl, Jared, and Brett are all friends of Josh, and they are all petty criminals. Jill is a friend of Josh; therefore, Jill is a petty criminal. Guilt by association can sometimes also be a type of ad hominem fallacy, if the questioning attacks a person because of the similarity between the views of someone making an argument and other proponents of the argument. 1) Source S makes claim C.
2) Group G, which is currently viewed negatively by the recipient, also makes claim C.
3) Therefore, source S is viewed by the recipient of the claim as associated to the group G and inherits how negatively viewed it is. One of the worst examples of questioning traps creating guilt by association is the New Thought movement and its “spiritual practice” of positive thinking. And the fact that most psychotherapy and coaching today are infected by this religious movement makes this even more scaring. The social critic Barbara Ehrenreich has persuasively argued that the all-positive approach, with its rejection of the possibility of failure, helped bring on our present financial crises. The psychological evidence, backed by ancient wisdom, certainly suggests that positive thinking is not the recipe for success that it purports to be. Ehrenreich clearly see the similarity with Soviet-style Communism, which we do not usually think of as a cheerful sort of arrangement. But it exemplified the use of positive thinking as a means of social control. Guilt by association is introduced to any critic by associating the word critique with the word negativity: Why so negative? How has this negativity arised?, etc., etc. And then the target is feeling he should defend himself by answering that he is not negative, etc. Guilt by Association can therefore be set up as a whole thought-control system as in NewSpeak. The name Newspeak is the name George Orwell gave the language, which the rulers in his dystopian novel 1984, had created. The intention with it is to control thinking, to make some ideas impossible to think, including concepts such as good and evil, true and false, beautiful and ugly. In this connection they are using concepts such as old-thinking and new-thinking, so that people get a feeling of guilt, everytime they use concepts within old-thinking. The rulers are doing this by connecting concepts within old-thinking with the word thought-crime. 4) being unknowable (among the first three). Proof by Ignorance has been used in McCarthyism (can you prove that you are not a Communist?) and in the Salem witch trials (can you prove that you are not a witch? ), as well as in the #MeToo campaign (can you prove that you´re not a sexual harasser?) - read more about Proof by Ignorance in my book A Dictionary of Thought Distortions, and the #MeToo campaign in my article Feminism as Fascism. The overriding intention is of course to eliminate critical thinking, or said in another way: that people think for themselves (I have investigated this kind of propaganda in the Matrix dictionary entry Doublethink). Against Therapy, is a book by Jeffrey Masson. In this ground-breaking and highly controversial book. Masson attacks the very foundations of modern psychotherapy from Freud to Jung, Fritz Perls to Carl Rogers. With passion and clarity, Against Therapy addresses the profession´s core weaknesses, contending that, since therapy´s aim is to change people, and this is achieved according to the therapist´s own notions and prejudices (subjectivism), the psychological process is necessarily corrupt, and can justify the use of brainwashing, beating and torture. In a nutshell it is the same argumentation I myself put forward towards the Matrix Conspiracy´s two methods: psychotherapy and coaching. See my books The Matrix Conspiracy 1-2. The form of analysis used by Hermeneutics of Suspicion (leading us to question groups or individuals “what is in it for them?”), is not only corrosive of trust in society. It is bound eventually to undermine itself. Why are such views themselves being propagated? What are those spreading them going to gain? A Questioning Trap is always an ad hominem move. Ad hominem move is a Latin phrase meaning “to the person”. The devious move in debate, where you shift attention from the point in question to some non-relevant aspect of the person making it. Calling someone´s questioning ad hominem is always a reproach. This reproach involves the claim that the aspects of the target´s personality or behaviour, which have become the focus of discussion, are irrelevant to the point being discussed. Often ad hominem move is simply based on prejudice. It can also be a rhetorical move, for example setting up a straw man. A straw man is a caricature of your target´s view set up simply so that you can knock it down. Sometimes it is a deliberate ploy; in which case it is a disreputable form of rhetoric. More often it involves a degree of wishful thinking stemming from widespread reluctance to attribute great intelligence or subtlety to someone with whom you strongly disagree. Over-confidence in your own position may lead you to treat dissenting views as easy targets when in fact they may be more complex and resistent to simple attacks. Ad hominem move is also a very widespread, and problematic, move among psychotherapists and coaches, and in the whole of the New Age environment and the self-help industry, where they can´t limit their questioning traps to clients, and wherefore it can be very difficult to have a normal discussion/relationship with these people. A Questioning Trap is a technique of rhetoric. Rhetoric (subjective argumentation) is an unethical way to convince others about your opinions because it doesn´t show, what in reel sense is appropriate or inappropriate about a case, but manipulates with it. The Questioning Trap contains some of the following elements: innuendoes, distortions, generalizations, over-/understatements, sarcasm, satire, irony, postulates, persuader words, emotional affections, coloured diction, choices and exclusions, subjective style; or said simply: thought distortions. The unethical aspect of setting up a Questioning Trap based on rhetoric is the burden you put on the target´s mind of answering such questions which in fact, due to their distortions, are impossible to answer. The target get´s involved in labyrinth of attempts to defend himself. Rhetorical questions, for example, are questions, which are asked purely for effect rather than as requests for answers. 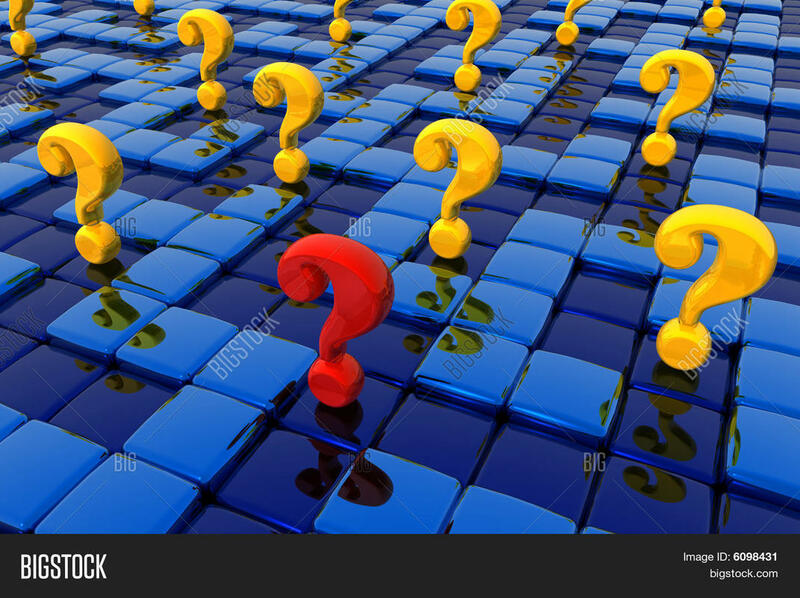 The questioner can for example assume that there only is one possible answer to the question in which case the rhetorical question functions in precisely the same way as persuader words. In this form rhetorical questions are simply substitutes for straightforward statements. It is comparatively easy and certainly unhelpful to raise a large number of seemingly deep questions on almost any topic; what is difficult and important are finding answers to them. These questions can be a good idea to ask yourself if a problematic thought of yours actually is false. And there is nothing new in it. They also use such questions in Cognitive Therapy, but not so simplified. Because the problem with The Work is that it has a conclusion in advance, namely that the thought is false, and therewith it is in progress, as with other New Age directions, of eliminating peoples´ ability of critical thinking. This is problematic, because the training of critical thinking is the first step in a true spiritual proces, and on the whole a primary condition for a healthy mind. In Cognitive Therapy for example, they also have questions to ask to problematic thoughts that actually have some truth in them. When the conclusion is given in advance then The Work´s four questions become rhetorical questions. And former devotees say that The Work can get quite nasty with its turnaround technique. After that you, as expected, have “realized”, that your thought is not true, then you have to turn it upside down; you so to speak have to think the opposite thought. Again it can be a good thing to look at problems from different sides, but that is not what you do with the turnaround technique. The turnaround technique actually sounds a bit like the thought distortion conversion to the opposite. The turnaround technique must be a dream for any bully, liar or manipulator. If you are critical, then this is due to your own false thoughts. If someone has bullied you, and you feel hurt, then this pain is based on your own wrong way of thinking. Certainly not the bully´s. Blame the victim put in system. Freud has not been forgotten. Read more in my article A Critique of Byron Katie and Her Therapeutic Method The Work and in the Matrix dictionary entry on Byron Katie. Rhetorical questions can also be used in order to generate pseudo-profundity. Pseudo-profundity is about uttering statements which appear deep but which are not. Are humans ever truly happy? Profundity arises from answering these questions, not just asking them. As mentioned: no matter how interested you are in another person, when you are setting up a Questioning Trap, you are putting a burden of the target´s shoulders, because you ask the person to answer your questions for you. I once offered philosophical counseling via email. The only thing I got out of it were a lot of such rhetorical questions. Objective argumentation is always a more ethical way to convince others about your opinions, because it actually shows, what in reel sense is appropriate or inappropriate about a case. It also trains you in thinking more clearly. Contains some of the following elements: summary or abstract, information, description, reasons, concrete diction, nuanced objective statement, argumentation; or said simply: critical thinking. As we can see from the above, a Questioning Trap could also be Begging the Question; that is: assuming the very point that is at issue. Sometimes this involves incorporating the conclusion of the argument into one of the premises. For example, in a law case, if someone is being tried on an accusation of murder, and has pleaded not guilty, it would be begging the question to refer to them as “the murderer” rather than “the accused” until their guilt had been established. Some forms of begging the question occur in the way questions are asked. Complex questions are often question-begging in this way. For instance, the question “When did you start beating your husband?” might be question-begging if the fact that you did beat your husband had yet to be established. Finally, a Questioning Trap could be, due to all of the above, complete irrevelant to the point in question, in fact, a Questioning Trap as such is a completely irrelevant move in communication. Irrelevance is about shifting discussion away from the point at issue by bringing in questions which don´t relate directly to it. Most often it is simply due to lack of mental focus: the result of failing to appreciate precisely what is at issue. Red Herrings is a form of irrelevance which leads the unwary off on a false trail. A red herring is literary a dried fish which when dragged across a fox´s trail leads the hounds off on the wrong scent. Deliberately introduction of irrelevant questions into a discussion is a frequently used ploy. It is particular effective because it may not be obvious for some time that the trail is a false one, since, typically, red herrings have intrinsic interest and seem at first to be pertinent to the question under discussion. They are particularly damaging to debate when time to discuss the issue is limited. For example, if in a debate about freedom of speech someone began to describe the structure and functioning of the Internet this might at first seem to have some relevance to the issue. But if no connection were made back to issues of freedom of speech sooner or later you would realize that the speaker had gone off at a tangent and introduced a topic which, although interesting in itself, did not, as used, have anything directly to do with the topic under discussion. How should one respond when finding oneself caught in a Questioning Trap? The immediate reaction (it you haven´t accepted the Questioning Trap) is to either avoid the questioner or to go into a fight with him. You could also make him aware of that he in fact are involved in setting up a Questioning Trap. But often this would end in the backfire effect, where he just gets more convinced that he was right in the first place. So, since the Questioning Trap involves an implied accusation of some kind of wrongdoing, the best is to ask him to spell out wherein your wrongdoing consists, instead of letting yourself be carried away by all kinds of irrelevant questions. Most often he will refuse to do this, and claim that he just is interested in you. People who set up questioning traps don´t want to have the work of giving answers. But if he denies that there is any accusation, then ask him why he was asking such questions in the first place. If he proceeds with his Questioning trap, then keep on insisting on that he spells out what it is you are doing wrong, because if there wasn´t any wrongdoing there wouldn´t be any need for the interrogation. The most disturbing about the users of Questioning Traps is that this technique often is being associated with philosophy, since philosophy is known for asking questions. Byron Katie is famous for being called a “modern kind of Stoic philosopher,” and the questions asked in cognitive therapy is known as a “Socratic Inquiry Technique.” Though I believe cognitive therapy to be the best scientific validated form of psychotherapy we have (I have myself used a cognitive therapy-inspired form of Socratic inquiry technique in my supporting exercise The Philosophical Diary), then the only thing this technique has in common with Socrates is that it asks questions. Socrates also asked questions, as all philosophers do. But just that to ask questions doesn´t turn it into philosophy. It is clear that since philosophy tries to discover thought distortions, philosophy doesn´t itself involve questioning traps. Let´s finish then, with a few thoughts about how philosophy ask questions. Firstly: Critical thinking, or philosophy, is in opposition to thought distortions. Critical thinking is about spotting thought distortions, and examining them by presenting reasons and evidence in support of conclusions. Precisely as we have done in this article. Critical thinking is the only tool you can use in order to explore, change and restructure thought distortions. It is, as described, not something psychotherapy should take care of, as New Age believes, since psychotherapy per definition is corrupted by thought distortions. Secondly: I have explained the way philosophy asks questions many places, see for example the introduction to my first book: Meditation as an Art of Life – a basic reader. Also see my articles What is Philosophy?, Philosophical Counseling as an Alternative to Psychotherapy, and The Peter Pan Project. The truth in philosophy is something a philosopher strive after experiencing, whereafter this experience can be written down. But the answers philosophers write down in books are not the truth. They aren´t conclusion to anything. They are open for discussion. Philosophy throws out answers to the questions, argues for the answers in a rational and logical way, and investigates their consequences. Written down answers are in constant change. That´s how the history of philosophy moves. The answers are fingers pointing at the moon. The fingers shouldn´t be confused with the moon. But it is clear that some answers are better rational reasoned than others; they are longer lasting, they are more whole. Now, if we finally return to Byron Katie as a “modern Stoic philosopher,” then it should be easy to see that her therapeutic method The Work is something completely different. Byron Katie´s four questions are questions taken out of the “Socratic Inquire Technique” used in cognitive therapy and supplied with positive thinking via the so-called turnaround technique. Where is the philosophical questions? Where is the invitation to wonder and to be skeptical and critical? Where is the invitation to think for yourself? Where is the wholeness? Where is the questions about society, nature, the universe? Where is the questions about how Man is connected with society, nature and the universe? Byron Katie´s only answers to such questions is her own conclusion, not the clients: your thought is false and your must turn it around to the opposite. Answers completely relative to what the content of the client´s mind might be. Pure subjectivity. Relativism and subjectivism in a nutshell. To follow such a written, idiosyncratic preconceived worksheet of what you ought to think is just about the opposite of everything philosophy stands for. It is sophism in action.